Share your latest templates with your friends and colleagues. 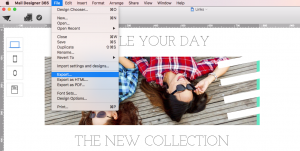 Mail Designer 365 offers several ways of exporting your design. 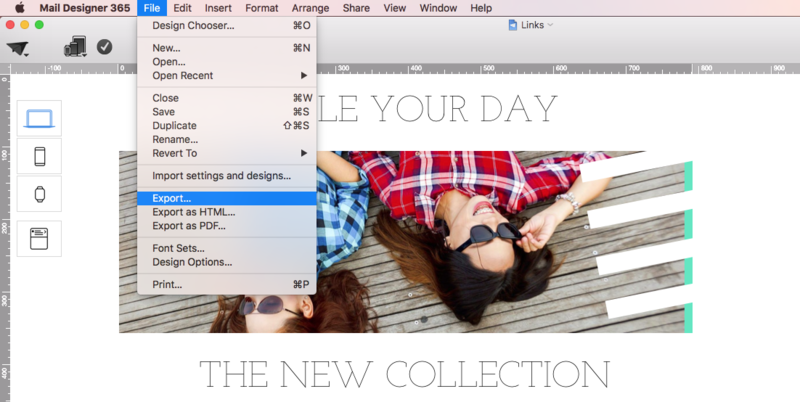 This option will create a file that can be opened in Mail Designer 365 on another Mac. This gives you more flexibility, but also means you’ll need to have Mail Designer 365 installed on the Mac you send the file to. ‣ Choose ”File” > “Export…“ from the top menu bar.